As another year comes to close across the battlefields of WAR, all we have to look forward to is the death grip chill of winter and a really nasty hangover. At least for a few months. I’m fairly certain that my chances to procure a purple keg handler have all but flown out the window as I’ve yet to see a giant in the RvR lakes except in T1 zones that had been abandoned by the common populace. Perhaps they’ll give out a handful for upcoming PTS events, or for following @MythicNews on Twitter or something. Seems I’d have better chances with that. Ah well, there’s many more realistic things to look forward to, and thus I give you my list of things to be done (probably while drinking! ), in no particular order. I’m also planning on adopting a kitty. It’ll be my 6th or 7th T4 Order toon. Finish a damn post! Of course, you wouldn’t know about it, but I have 6 unfinished fragmented rambling works to post… eventually. Full system refresh! Just about doubling my computing power. Quad-Core, SSD, 5k series ATI. Games will run like buttah! Move out of this old apartment. Move in with the parents. Buy a house. Move into the new house. ??? Profit! Work up a couple new themes for the blog. Brushing up on them Paint.net skills. Solo more Chosen on my Engi or Shadow Warrior, cause it’s really really funny. What are ya’ll looking forward to in the new year? I am actually looking forward to either GW2, or SWTOR. 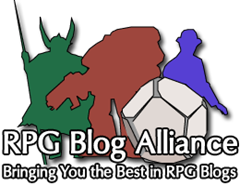 Right now I am tired of playing the same old MMORPGS like war, warcraft, and some MW2.I plan on doing more and more with my blog. It is actually becoming an obsession with twitter, commenting, blogging, etc. I spend several hours every day just doing that.